I’m Nosa and I’m currently working on my Masters in Computer Science. I am also the founder of Big Heart Games. What’s the name of your app and a brief description of it? The name of my app is Cute Arcade and it is a collection of kid friendly/family friendly mini games. What are the mini-games included in Cute Arcade? The mini games included are Counting Sheep and Falling Stars. Falling Stars, has a relaxing pretty sky in the background, while different colored stars slowly fall from the sky and your goal is to touch them all, but beware of the Rocket Ships! 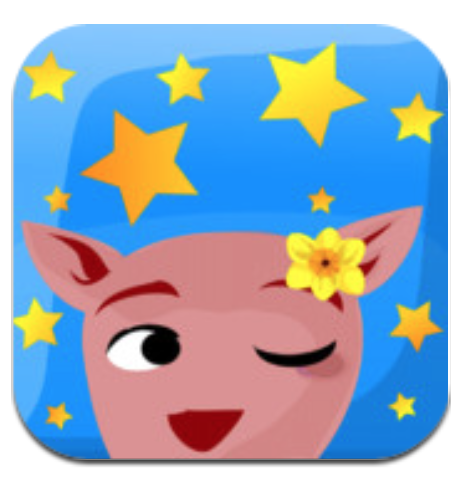 I decided to develop this app in April of 2012, I was discussing with a colleague of mine, my plans to make a game. Her name is Deborah Sterner and she is a Doctoral Candidate in Curriculum and Instruction, specializing in Adult Education and Special Education. She suggested that I aim for something that was wide reaching. It sounded like a great idea and the project moved forward. Cute Arcade was released on March 5, 2013 and it’s a Universal iPhone/iPad game. It took us 10 months to complete it. We put a lot of heart and careful thought into this game. When it comes to kid/casual games, I feel like the intentions of some developers are not always genuine. Any game I make, I want the player to feel something from the combination of music and fun gameplay. I want the player to know their time is valued and that we gave our all to create the best experience possible. In addition to that, the colleague I mentioned earlier was a key factor in Cute Arcade’s development. She was instrumental in making sure that design decisions would be appealing to our intended young casual audience. Whether it be the right color choices, or the inclusion of Zen mode, so that kids can play without the pressure of scoring points to the music selections being a cohesive relaxing package. My favourite feature would have to be the Multi-Touch aspect for two reasons. Young toddlers love to put their whole hand on the screen which renders most apps on the App Store useless. If you have young kids, multi-touch is a must. For everyone else playing, when you get really into the game, you want to be able to tap as many sheep or stars as you can. With multi-touch you can use all of your fingers. What is your favourite game in Cute Arcade? My favourite game would have to be Counting Sheep. It’s so gratifying to count the sheep and just like every other person in the world, I’ve always dreamed of counting sheep as a kid. It’s nice to have an app where I can actually do that! Whether you are a toddler or a grownup, it’s nice to have good motor skills and keep your brain sharp. Cute Arcade definitely allows toddlers to fine tune/develop their motor skills and it allows players of all ages to sharpen their motor skills. There is also a counting aspect to the sheep game which is good for kids. Also, music appreciation is something else we wanted to include. While you play Cute Arcade, we wanted the player to feel something, whether that be relaxation or pure happiness. Cute Arcade is definitely perfect for kids 5 months and up. In our testing, we did notice that all the women who played it, absolutely loved it. The magic we saw in our tester’s eyes was the most rewarding aspect of developing Cute Arcade. It also tested well with men too, so for that reason we think it appeals to all age groups with a stronger focus on the little ones. We have a minor update coming soon to add a Rate Cute Arcade button. For now, if you like Cute Arcade just open the App Store manually to give us a rating. Sorry for the slight inconvenience! However, we do have a share button in there allowing you to easily send it your friends. In the future, if people enjoy Cute Arcade as much as we have, more mini-games will be added. Originally Cute Arcade was going to have 5+ mini games but we decided to limit the scope so the game would be released in a reasonable amount of time. Have you ever wanted to count sheep? Have you ever wanted to touch a star falling from the sky? Childhood dreams are some of the most cherished by all. The simplicity, the beauty and the promise of youth is magical. Cute Arcade captures this magical essence in a fun and relaxing way with endless hours of gameplay! Cute Arcade is a collection of games for kids and adults of all ages. FALLING STARS: where your goal is to touch as many stars as possible while the late night sky sparkles in front of you. COUNTING SHEEP: as sheep float across the room, you touch them to count them but if you miss too many the kids won’t be able to sleep. NORMAL: where you aim to capture the highest score! ZEN: for when you just want to relax and have fun without the pressure of winning. PERFECT for the little ones as well. CUTE WARNING: ZEN mode is so relaxing you can easily fall asleep!!!! When we designed Cute Arcade, we had everyone in mind, from infants to toddlers to grandma and grandpa. Our play testers were of all ages and the look in their eyes when they played Cute Arcade was just magical and so satisfying to the whole team. We respect and value your privacy here at Big Heart Games. In our apps we do not collect, store, or share any personal information or location data. We do not have advertisements, links to social media, or in-app purchases.